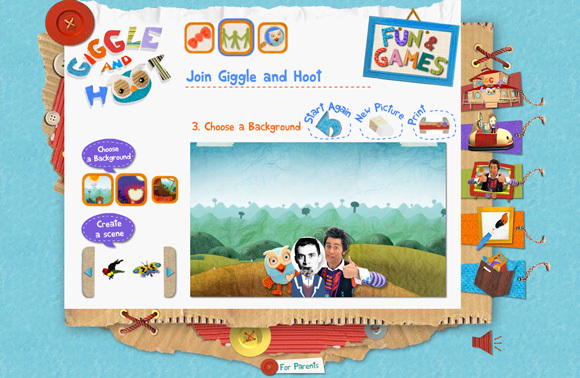 We've produced a series of games for ABC Kids around the "Giggle and Hoot" TV program. The games were simple "hide and seek" and "dress up" games aimed at young children. Check out the games here. Also as part of the ABC Kids site we developed a player that would load games and media from the back catalogue of ABC developed games, audio and video. 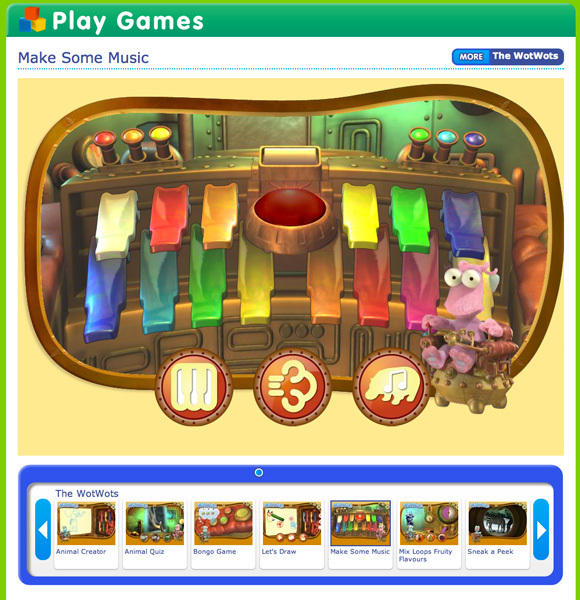 The player was used to provide parents the ability to assemble a "list" of games and media that their child can watch and play through. 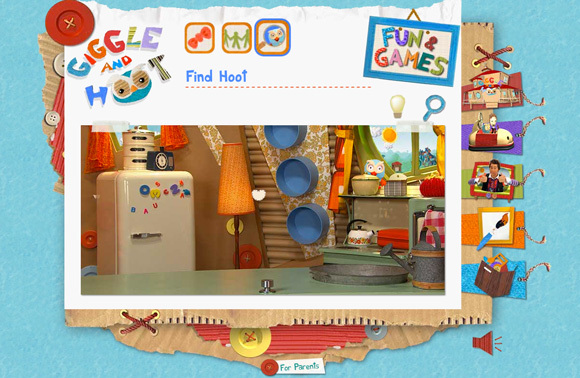 It is used extensively across the ABC for Kids website. There was also an augmented reality game produced, which will hopefully be live soon! We'll post more when we have a link.